Chapter 05- Queen Nazmah - "Chapter 5 Page 14"
King Atherr: I haven’t asked you anything. 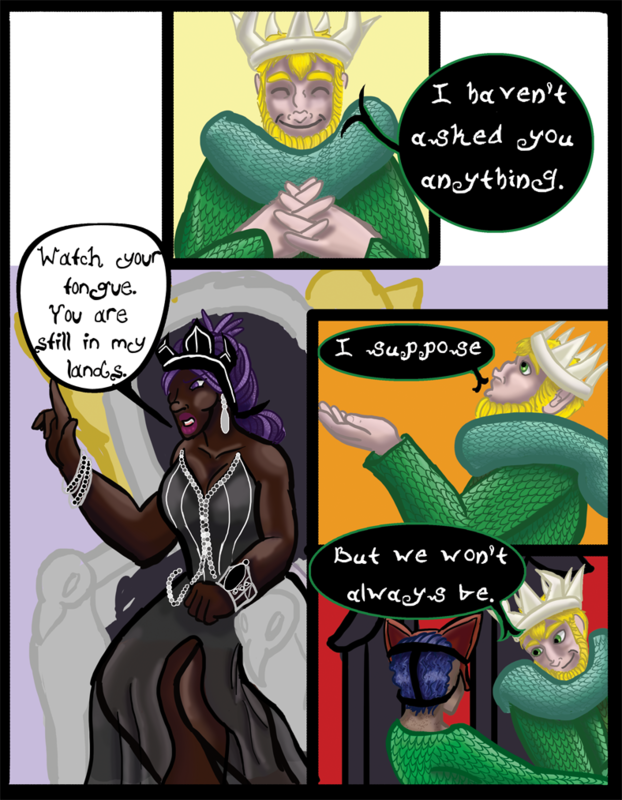 Queen Nazmah: Watch your tongue. You are still in my lands. King Atherr: But we won’t always be.